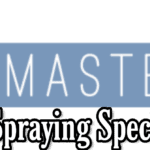 Onsite Spray Services by SprayMasters UK. We operate nationwide we are capable of taking on any project large or small, we have the equipment and the manpower to carry out the work. No matter the location or the difficulty level we can conquer it. 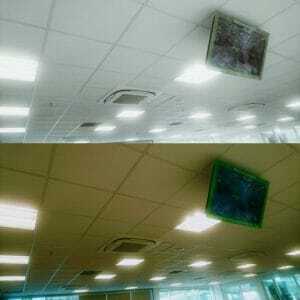 The picture below is from an Asda in Telford where we sprayed the ceiling tiles on behalf of a fitout company. We can do any job no matter how difficult we have the experience & the knowledge to turn projects around. Our superior fine finishing is first class. 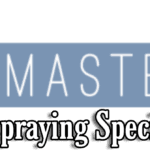 Our Spray services often see us travel to Birmingham & London as they are two areas of major growth, which means we always have something to spray.